Located on reservations in South Dakota, the Lakota people started the Native American Advocacy Program (NAAP). This program works with youth to help them understand their identity as well as helping Native Americans with disabilities to gain a more independent lifestyle. NAAP’s mission is to reclaim the Lakota language and culture through education. 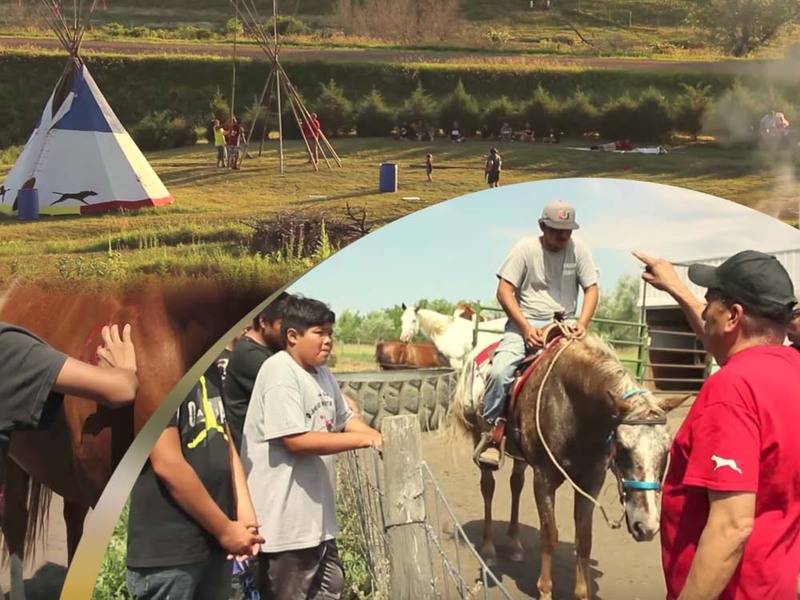 The Sacred Fire Foundation has the pleasure of funding one of their many programs, the Sunka Wakan Otakuye (“kindship with horses”) Equine Camp at the Rosebud Sioux Reservation. This camp provides Lakota youth with the opportunity to learn the language, embrace their culture and spirituality, and gain basic horsemanship skills.